You need to be aware of the tendency we all have - to buy stuff we do not really need. We all do it, and it is all too easy to slip back into the habit. Before you buy anything, look at it and ask yourself if you really need it. Ideally, you want to be able to use every item in your backpack in a range of different ways. For example, most of these men's shorts from Jacamo can just as easily be worn for hiking, cycling or sightseeing on a warm day. At a pinch, you could wear them as pyjamas or even underwear. Packing multi-purpose clothes and gadgets will save you a lot of space and hassle. If you are globetrotting, take the time to pause every once in a while to assess what you have in your bag. Once a month, spread it all out on the bed. Dispose of any items you have not used in a while, and repair or replace anything that is looking worse for wear. When you do this, think about what your plans for the next month are, so you make wise decisions. Naturally, you will want to hang onto expensive items like wet weather gear. In the summer, you may not be using them, but will need them for the odd day when it rains heavily and more in the winter. It is also a good idea to have something smart to wear for a date or party. Lightweight packing cubes will help you to keep items in good condition. They will also enable you to stow those items that you do not use as much at the bottom of your bag, so you do not have to unpack them. When you travel, having what you need close at hand, in the top part of your bag is very handy. Packing cubes make it easier for you to do this. If you buy the type with a drawstring top they will also help you to fit more into your bag or case. A good quality bag is essential. You will be glad of little extra features like padded straps and the ability to tie extra items onto the outside of your backpack when you are doing activities that require you to carry more gear. If you want more tips on how to buy the best bag for your next trip try this video. It includes quite a few tips that most people would not normally think of. Therefore, it is well worth spending a few minutes watching it. How about you guys? Do you have any simple tips to add to the list? 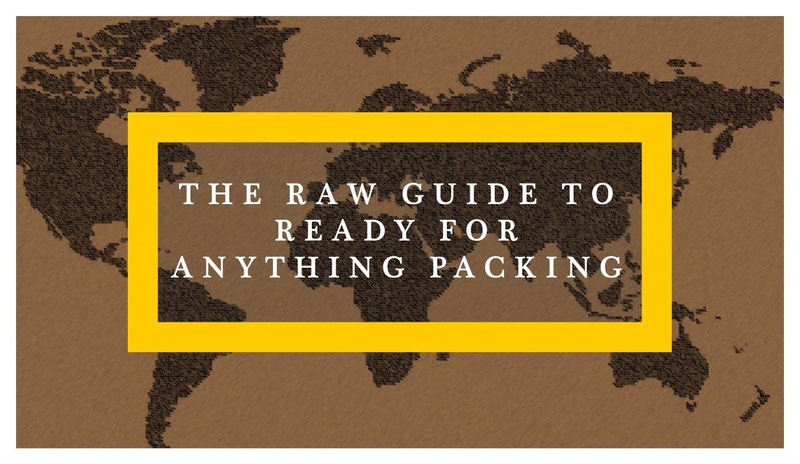 For other blog posts on "The RaW Guide to..." series, click here. Thank you for the packing tips. I am really good packing for months of travelling but when it comes to weekends I try my best not to book the kitchen sink (haha). Thanks so much for the great tips. 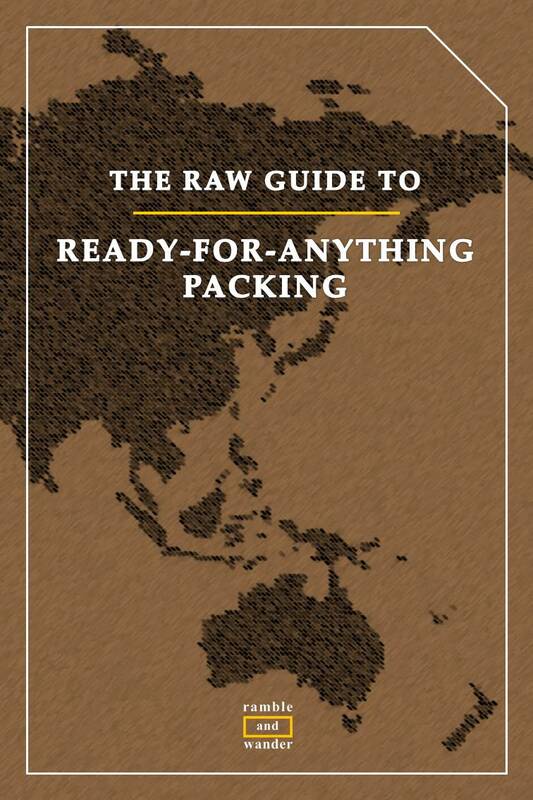 It will come in handy when we go for a few months of travel around South America. I love using packing cubes. They make the job so much easier especially on long trips away from the home. I totally agree with some of your tips! Having the right bag is essential as you will need to carry it around on your travels, so be sure its comfy! Packing cubes are also great as they will make you use less room when packing the essentials. I can no longer imagine packing without packing cubes especially when I'm using my backpack. It's easier to take things in and out of the bag. All purpose clothing seem like a really practical and innovative option. This will not only add to convenience but also reduce the weight of your baggage.Packing cubes is something that you have suggested which again will end up saving lots of space.